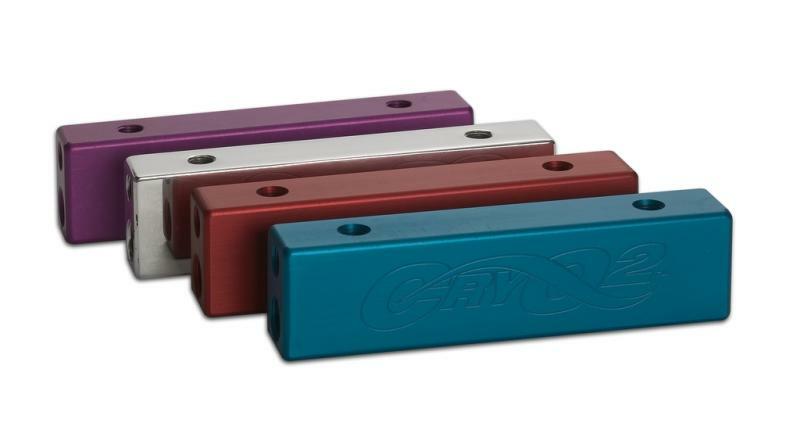 The CryO2 Fuel Bar is a billet aluminum extension to the fuel line with a cryogenic chamber. The bar is charged with liquid CO2 and freezes to -80 degrees F. Heat is removed from the fuel as it passes through resulting in a colder fuel charge. The CryO2 Fuel Bar comes in -6AN and -10AN (can be reduced for -8AN) fuel line size. Four cryo-ports allow versatility of installation. Comes complete with vent plug, cryo-port plugs and connection/vent hose. The CryO2 Fuel Bar can be used alone or in conjunction with other CO2 components. It comes either anodized or polished with engraved DEI flame logo.